Archetypes are systems of readiness for action, and at the same time images and emotions. 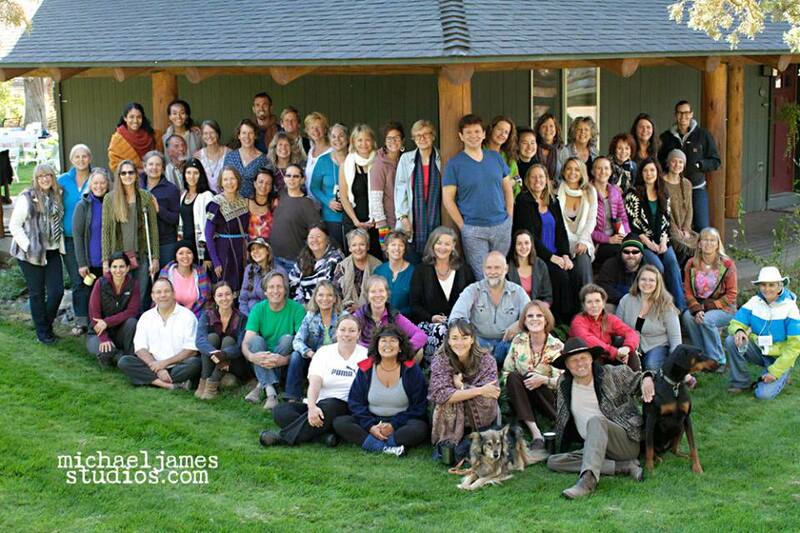 The last few days of The Healer’s Gathering in Sisters, Oregon has been great. Whenever we attend powerful healing workshops like this, people have childhood issues surface and they have the opportunity to process their feelings and heal the Child Archetype. The Child Archetype is the one of the four main archetypes: the Child, the Victim, the Prostitute and the Saboteur explained in Caroline Myss’s incredible book Sacred Contracts. There is the Wounded Child, the Orphan Child, the Magical/Innocent Child, the Nature Child, Puer/Puella Eternis (Eternal Boy/Girl), the Dependent Child and the Divine Child. After taking a class from Caroline Myss on Sacred Contracts as well as Medical Intuition, I taught this work for many years. This information is a combination of information from her book and my interpretation and sharing. The mature child archetype is the part of us that nurtures us and is lighthearted and innocent. The child watches for the wonders of the world, no matter what age we might be. It brings playfulness and balance to our lives and brings out the best in others. The core issue of the Child archetype is dependency verses responsibility. It governs when we take responsibility, when we have a healthy dependency or interdependency, when to stand up to the group and when to embrace the community. The Wounded Child Archetype remembers the abuse, neglect and traumas that were experienced in childhood. Since therapy has become more acceptable, many people identify with this archetype. It is the child that blames their parents for their lives, their choices, and the dysfunctional relationships they create. The positive side of the wounded child is they have the desire to help other wounded children and have a deep ability to be compassionate. The shadow side of the wounded child is they blame others for their pain and get stuck in the past, not moving through the painful memories into present time. The shadow side of the Orphan is they suffer from feelings of abandonment. They often seek out surrogate families or support groups in which to connect. Creating and maintaining healthy relationships is often a challenge for the Orphan Child. The Magical Child / Innocent Child archetype sees beauty in all things. They are able to maintain wisdom and courage when what is happening around them may be catastrophic. A good example is Anne Frank. When her family was hiding from Nazis, she was still able to believe that humanity was good. The shadow side of the Magical Child leaves the person without a sense of possibility and a lack of transformation from evil to good. Pessimism and depression can surface, especially if the child had a dream that was discouraged by adults. Another shadow side is when the adult gets lost in fantasy and does not believe action and energy are required to obtain a result. They get lost in magical thinking. The Nature Child Archetype manifests as a child who has a strong, intimate bond with the earth and with animals. They may show a tender, emotional side, but also can be tough and have great survival skills, “the resilience of Nature herself.” Often nature children can communicate with animals and these animals may even rescue the nature child in some way. Nature children also may have developed abilities to communicate with nature spirits and work with them to help the planet. Veterinarians and animal activists are often nature children. Today is Earth day and I imagine many of the activists connected with Earth Day are nature children. The Eternal Boy/Girl Archetype manifests as an ability to stay young in body, mind and spirit. These children continue to have fun and enjoy life even as they age. I imagine many who write books on anti-aging have this child archetype. The Dependent Child Archetype will appear needy and dependent and have a heavy feeling within that nothing is ever enough. They are always trying to replace emptiness from childhood, but they can never figure out what the emptiness is. They often suffer from depression, sometimes severe. If you identify with this archetype, you can use it to alert yourself to when you are becoming too needy and self-absorbed. Although this is my own thinking, I often refer to women who have this archetype in full activation as the female narcissist. Everything becomes about them and their needs. The Divine Child Archetype (excerpted from Caroline Myss) is closely related to both the Innocent and Magical Child, but is distinguished from them by its redemptive mission. It is associated with innocence, purity, and redemption, god-like qualities that suggest that the Child enjoys a special union with the Divine itself. Few people are inclined to choose the Divine Child as their dominant Child archetype, however, because they have difficulty acknowledging that they could live continually in divine innocence. And yet, divinity is also a reference point of your inner spirit that you can turn to when you are in a conscious process of choice. You may also assume that anything divine cannot have a shadow aspect, but that’s not realistic. The shadow of this archetype manifests as an inability to defend itself against negative forces. Even the mythic gods and most spiritual masters — including Jesus, who is the template of the Divine Child for the Christian tradition — simultaneously expressed anger and divine strength when confronting those who claimed to represent heaven while manifesting injustice, arrogance, or other negative qualities (think of Jesus’ wrath at the money-changers in the Temple). Assess your involvement with this archetype by asking whether you see life through the eyes of a benevolent, trusting God/Goddess, or whether you tend to respond initially with fear of being hurt or with a desire to hurt others first. I hope this is helpful for you. Use this to look at your relationships with others and see where you fit! Enjoy!